Mumbai, 14th June, 2016: In a proud moment for the Indian Healthcare industry, Dr Batra’s Healthcare was internationally recognised for its outstanding commitment and results in quality management strategies and awarded the ‘Best Practices in Healthcare’ by European Society for Quality Research (ESQR) in Brussels. One of the most prestigious International awards- The European Society for Quality Research, with Head Office in Lausanne (Switzerland), promotes quality awareness, recognizes good business practices, technological innovation, quality achievements in companies, public administrations and organizations worldwide. The convention received participation from over 50 countries and awardees were felicitated in the presence of an international business community. Chairman and founder Dr. Mukesh Batra received the award in Brussels and is the only Indian Homeopathy to receive recognition of this nature. He has played an instrumental role in pioneering modern Homeopathy not only in India but also in various overseas markets and changing the perception of Homeopathy world over. With over 40 years of experience in the field of Homeopathy, Dr. Batra through his efforts and commitment towards patient care and quality, has been able to establish and bring recognition to the practice of Homeopathy medicines as a modern, progressive, efficient and effective medical option world over. Accepting the award, Dr Mukesh Batra, Padma Shri recipient, Founder-Chairman of Dr Batra's Group of companies said, “It is an honour to receive an International recognition and be recognised among 50 countries for ‘Best Practices in Healthcare’. 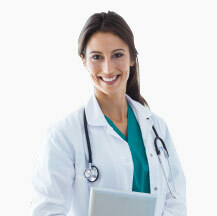 It is our constant endeavour to provide the best of doctors and medical services to our patients. This is a matter of pride and prestige not only for our organisation but also for homeopathy as a medical practice, that a Homeopathic medical institution was recognised for its medical and patient protocols internationally. " Dr Batra’s Health Care Group was founded by Dr. Mukesh Batra in 1982 in Mumbai. The Group today is the leading Homoeopathic healthcare corporate, having 234 clinics across 129 cities with presence in India, Dubai and London. In 2009, the company introduced Aesthetic Services through its flagship brand Dr Batra’s Aesthetic Solutions Pvt. Ltd. The aesthetic solutions arm of Dr Batra’s offers wide services ranging from hair transplant, obesity solutions, to an array of skincare solutions. Dr Batra’s Cyber Clinic (www.drbatras.com) has been listed in the Limca Book of Records (Editions 2004 and 2005) for becoming the first-ever cyber clinic to offer online consultation to over 4.5 lakh patients every year. It has also launched the world’s first tele-homoeopathy clinic which enables real-time multi-location connectivity. The brand is the only Homeopathic Most Trusted No. 1 Ranked Brand by The Brand Trust Report – India Study 2013, and feted as a Power Brand for the year 2012 by Planman Media. Dr Batra’s is the world’s first homoeopathic healthcare corporate to receive the much-coveted ISO 9001-2008 Certification. Moreover the brand is well known as a philanthropic work for underprivileged sections of the society to get free treatment.